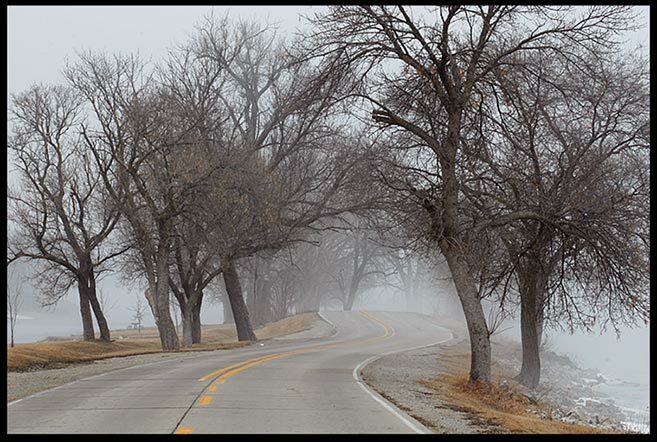 Isaiah 42:16 and a Foggy Road, Lake Manawa State Park, Iowa. The words of Isaiah 42 declare the coming servant of the Lord, the Messiah. We follow Him and He is Jesus Christ. Place your trust in Him. There is no better leader to follow than our God. Even though in the fog of life our eyes may fail to see what lies ahead, He guides the faithful heart down the road it should travel. Jesus knows the way and He is the Way. Read more of about the gift of the Messiah in Isaiah 42. Amen, so many times life takes us down so many uncertain paths, but God has assured us we will always be cared for with him and his son Jesus Christ. Hi Sonya. Thanks for the comment! Yes, He is always there for us.